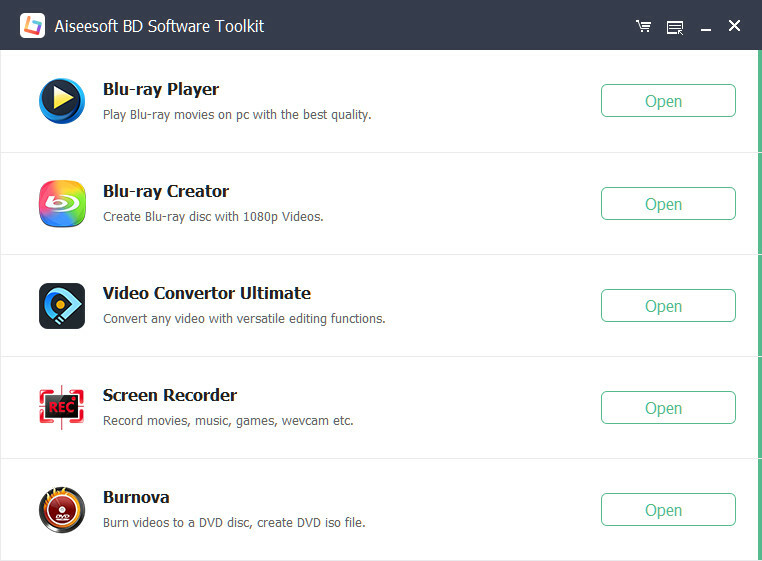 Aiseesoft BD Software Toolkit 7.2.22 無料ダウンロード - Convert video, play Blu-ray and create DVD. Aiseesoft BD Software Toolkit includes Blu-ray Player, iPhone Transfer Platinum, DVD Creator and 3D Converter, so users can convert video files to 3D and general video/audio formats, convert videos to DVD disc, transfer files between iPhone and computer, convert between 3D and 2D video, and convert between different 3D video. Plus, it supports iPhone 5s/5c, iPad mini 2, iPad Air, Samsung Galaxy Note 3 and iTune 11, iOS 7. Aiseesoft BD Software Toolkit enables users to convert popular video/audio files to any video and audio format for all popular portable devices. This BD Software Toolkit allows users to export all iPhone files (music, movie, pictures, TV shows, Podcast, iTunes U, eBooks, Camera Roll, ringtone, SMS (MMS), Contacts, voice memos, camera shot) to computer, and import music, video, ePub, PDF, image files/folders to iPhone directly.